What is Botox® wrinkle reduction treatment? ‘Botulinum Toxin Type A’ (widely known as Botox®), is an effective anti-ageing treatment. Skin ages over time, and most of us will develop wrinkles on the face at some point in our lives. The areas most commonly affected are the forehead (caused by raising the eyebrows), between the eyes (caused by frowning), and the corners of the eyes (caused by smiling). Injecting these areas with Botox®, can temporarily paralyse the targeted muscles to smooth away expressive facial lines. It has become an established treatment choice for men and women, used in facial aesthetics to reduce lines and wrinkles without the need for invasive surgery. Our practitioners’ knowledge of facial muscles and structure is vital to ensure you walk away with a natural-looking result. You will still be able to laugh, smile and frown, but the targeted lines will look fainter and often disappear altogether. For lines on the lower half of your face, we would usually recommend using Dermal Fillers. At your consultation, you will be advised what is the best treatment suitable to you and this sometimes may be a combination of both Botulinum Toxin and Dermal Fillers in order to achieve the desired result. Botox® is the brand name by which ‘Botulinum Toxin Type A’ is widely known, however there are other brands of Botulinum Toxin Type A commonly used in the UK, such as Botox® (Vistabel®), Dysport® (Azzalure®) and Xeomin® (Bocouture®). Sheer Laser Clinic’s Doctors each have their preferred brand of toxin and therefore we utilise the use of all these brands. Botox® is is a very versatile injectable solution, ideal for the dynamic expression lines on the upper half of your face, particularly horizontal and vertical lines on your forehead and around your eyes when you smile. Botox® can also be used to treat Hyperhidrosis (excessive sweating) particularly under the arms, producing a dramatic reduction in sweating. How does Botox® actually work? When Botulinum Toxin is injected into carefully targeted facial muscles, it blocks the signal from the nerve to the muscle so that they are not able to contract and move; hence there will be less wrinkling of the skin in the areas treated. Is Botox® wrinkle reduction treatment safe? Botox® has been licensed for cosmetic purposes since 2002, although its usage goes back more than thirty years for various medical conditions. It has an excellent safety record when administered by a qualified medical professional at the correct dosage. By coming to Sheer Laser Clinic, you have the reassurance of knowing that we buy our toxin directly from the manufacturer themselves and their authorised distributors, which ensures that the product has followed strict manufacturing, storage and transportation standards and guidelines. At Sheer Laser Clinic, you will only ever be treated by one of our highly trained Doctors or Cosmetic Nurses. Anti-Wrinkle Injections make use of a prescription-only drug, and we believe it is only safe to be administered by someone who is medically trained. What can I expect during my Botox® treatment? At Sheer Laser Clinic, every client’s needs are unique, therefore each client receives a bespoke consultation with the Doctor or Nurse. During the consultation you will be required to discuss your medical history as well as your problem areas. The practitioner will then discuss the desired improvements, treatment options available to you and the expected outcomes. When a suitable treatment has been agreed upon, the toxin can then be administered. When administering treatment, your practitioner will make a series of small injections into the targeted muscles of your face. The injection process itself only takes several minutes and is virtually painless, therefore requires no anaesthetic. Depending on the area to be treated, we may use a topical numbing cream to help you feel as comfortable as possible. The procedure is relatively pain free, with the exception of mild discomfort which is experienced due to the small injection involved. You may notice some soreness in the injection site directly after the treatment, but this should subside quickly. It may take one to five days for the treatment to take effect and the best results will be visible after a week or two. 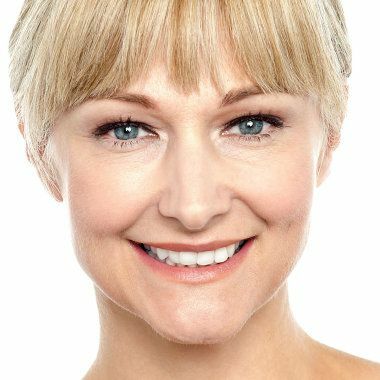 We believe ‘less is more’ when it comes to anti-wrinkle injections which means we would rather top-up the product at a review appointment as we feel it is important that you retain your natural appearance rather than over-treating you which could leave you looking and feeling frozen. Accordingly, we offer a two-week review appointment to ensure that the desired result has been achieved. At this follow-up appointment, an additional top up can be administered if deemed necessary by your practitioner. What do I need to do after my Botox® treatment? You will be given clear aftercare instructions when you undergo wrinkle reduction treatment at the Clinic. With toxin there is no real downtime; often clients book to have this treatment in their lunch break and return straight back to work. You can carry on with your day as normal, although you should avoid any exercise or strenuous activities, saunas or extreme heat for 24 hours after your treatment. You should also avoid rubbing the area where you were injected to prevent the Botox® from spreading to other nearby muscles in your face. It is also recommended that after your treatment, you maintain your overall skin health by using a cosmeceutical skincare regime to protect your skin from further ageing factors such as free radical and sun damage. Depending on the area treated, dose used, and how you respond, the treatment should last between three to six months and repeat treatments will be required around every 3 – 6 months to maintain the results. Most side effects are short-lived and mild. Common side effects of Botox® injections are headaches, swelling, bruising or discomfort at the injection site. Usually these problems resolve themselves within a few hours of the treatment. If however you experience any problems breathing, speaking or swallowing you should seek medical help immediately as these can be signs of the toxin effect spreading. There has not been a serious confirmed case of spread of toxin effect when Botox® has been used at the recommended dose to treat facial lines. In rare cases, Botox® can cause the eyelid or brow to droop but this is usually caused by an inadequate injection technique. As Botox® injections are carried out by an experienced and highly qualified Doctor or Cosmetic Nurse, this helps to minimise the risk of potential side effects. Is Botox® wrinkle reduction treatment right for me? Botox® is the UK’s most popular cosmetic procedure, because it is suitable for almost anyone wishing to reduce their dynamic lines or wrinkles. Naturally you will have questions and some concerns about the treatment which is why we would start your journey by inviting you in for a one-to-one free consultation with our Doctor or Cosmetic Nurse, so that they can provide you with advice as to the most suitable form of treatment for you. We may recommend another treatment if there’s one that we believe would give you a better outcome; we may even advise you against treatment if we feel this to be in your best interest. At all times, we ensure that you receive an an honest assessment that puts your needs first. Who should not have treatment with Botulinum Toxin? Botulinum toxin should not be used in women who are pregnant or breastfeeding. The manufacturers have not performed clinical studies in this group for obvious reasons. If you are currently trying for a baby, you will be advised to delay any cosmetic treatment. Patients who have any diseases that affect muscle activity, bleeding disorders or are taking drugs that affect bleeding time, may be advised against undergoing anti-wrinkle injections. You should be prepared to tell your practitioner about any medication which you are taking and any allergies you have.